Everyone considering bankruptcy or debt relief solutions wants to know the bankruptcy cost. Most often, potential bankruptcy clients are tight on funds and want to know what is needed to file and for the cost of representation. So what is the cost file bankruptcy? This article outlines expected fees, including filing fees, attorneys’ fees and other incidental costs. First off, all bankruptcy filers with primarily consumer debts must take a credit counseling course prior to filing and a personal financial management course prior to discharge. Each course costs between $15 and $25. Likewise, most bankruptcy attorneys will pull your credit to make sure all creditors are listed on the petition. This can cost anywhere between $25 and $50. The bankruptcy court requires all filers to pay a filing fee. The filing fee for Chapter 7 bankruptcy cases is $335 and the filing fee for a Chapter 13 filing is $310. You can often pay your filing fee in installments over the course of a few months if you have a financial hardship. 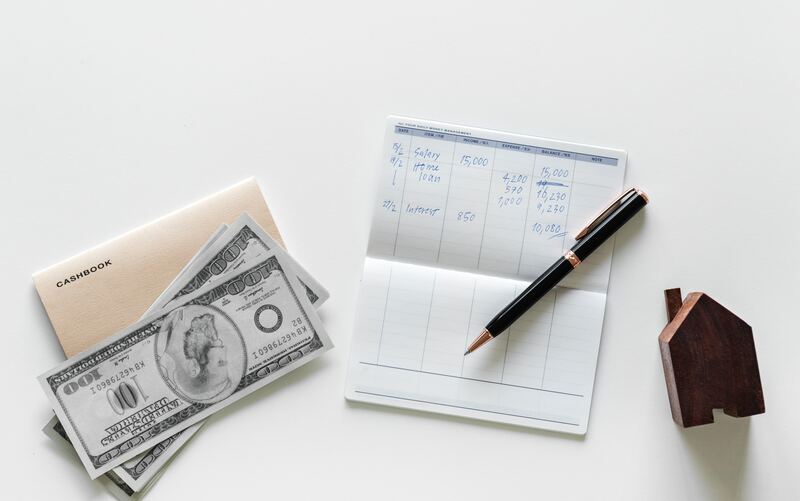 Before getting into what is customary for attorneys’ fees in Arizona, it is important to note that the total cost of bankruptcy cannot be viewed without considering the overall consequences. For pro se filers, success rates fall dramatically, especially for Chapter 13 filings. Attorneys are often able to successfully get a discharge and save clients money and avoid serious issues down the road. It is often said that good bankruptcy counsel will pay for itself in proper planning and avoiding issues that may arise through the process. Clients trying to save a few hundred dollars on the front end can pay multiples of that on the backend if they choose the wrong attorneys. Benjamin Franklin once said that “[t]he bitterness of poor quality remains long after the sweetness of low price is forgotten” and this is very true in the area of bankruptcy. Accordingly, rates alone should not be the main consideration in choosing counsel. But lets say you know all that and just want to know what to expect. Chapter 7 attorneys’ fees are typically paid in advance of filing although a recent Ninth Circuit case now allows bankruptcy attorneys to accept payment plans in Chapter 7 cases and many cases no proceed with little money down. In Phoenix, the cost file bankruptcy or most common range of fees that I see for Chapter 7 filings range from $1,800 to $2,500 for qualified bankruptcy counsel. The two primary factors affecting fees are the complexity of your case and the quality or professional reputation of the attorney. For simple “no asset” cases (no non-exempt assets), you can possibly pay as low as $1,200 for decent representation. For an attorney charging less than $1,200, I usually (but not always) find that the client is sacrificing quality and they do so at their own peril. Likewise, the majority of people do not need to pay $3,000 or more for a Chapter 7 discharge even for a complex case with experienced, qualified counsel. 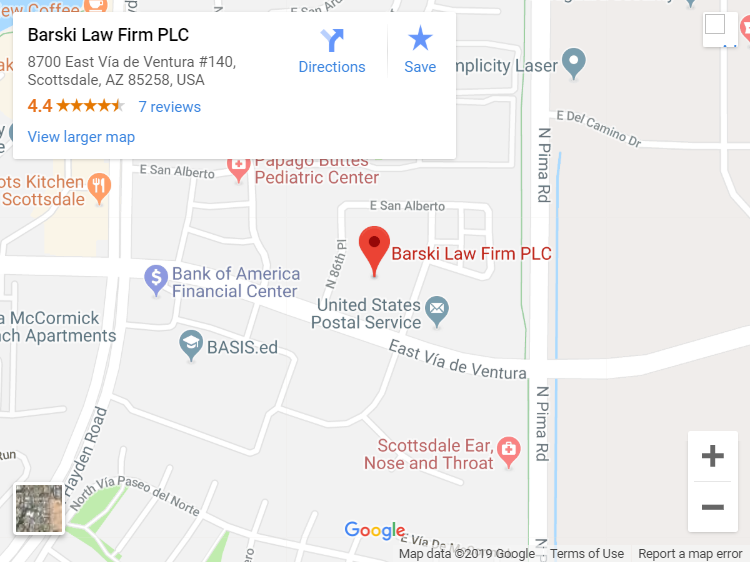 At Barski Law Firm we typically charge between $2,000 and $2,400 for a typical Chapter 7 filing depending on a number of factors. We do not compete on price. We compete only on the quality of our representation which is deserving of the cost. In a Chapter 13 bankruptcy, you will work with your attorney to create a repayment plan and pay your disposable income to a Chapter 13 trustee over a period of three to five years. Typical fees in Arizona for a Chapter 13 attorney vary from $3,500 to $5,500 for competent representation. Arizona has what is referred to as a “no-look” fee of $4,500 which is considered presumptively reasonable. Any amounts in excess of $4,500 will need to be approved by the bankruptcy court. The good news is that you do not need to pay the total amount up front. You will generally only need to pay the filing fee and a smaller retainer up front for the attorney. The remaining balance of attorneys’ fees can be paid through the Chapter 13 plan by the trustee who receives your monthly plan payment based upon the budget created by you and your attorney. The cost file bankruptcy in the Chapter 13 setting is affordable given the flexibility allowed in the Chapter 13 setting. It is generally never a good idea to hire the cheapest bankruptcy attorney as poor representation can, and often does, cost you more in the long run. Do not be tempted by offers of “low cost bankruptcy” or “affordable bankruptcy” without losing sight of the big picture. The cost file bankruptcy must also incorporate the costs of poor representation. But you should know the reasonable range of fees so that you can be cost-conscious and ensure you are not overpaying for services at a time when you are already tight on cash. An experienced bankruptcy lawyer will assist you in protecting your assets, avoiding or resolving possible objections with creditors or the trustee and minimize the risk of potential problems. Likewise, your chances of success improve dramatically with proper representation. In the majority of cases, experienced counsel is well worth the cost.